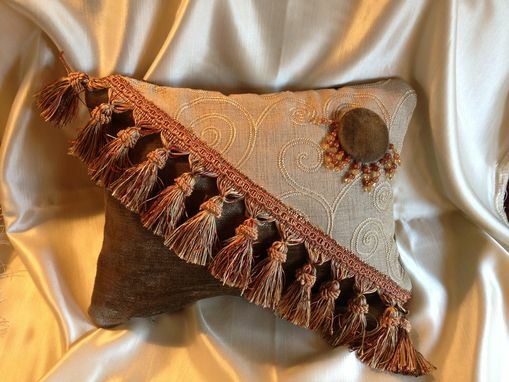 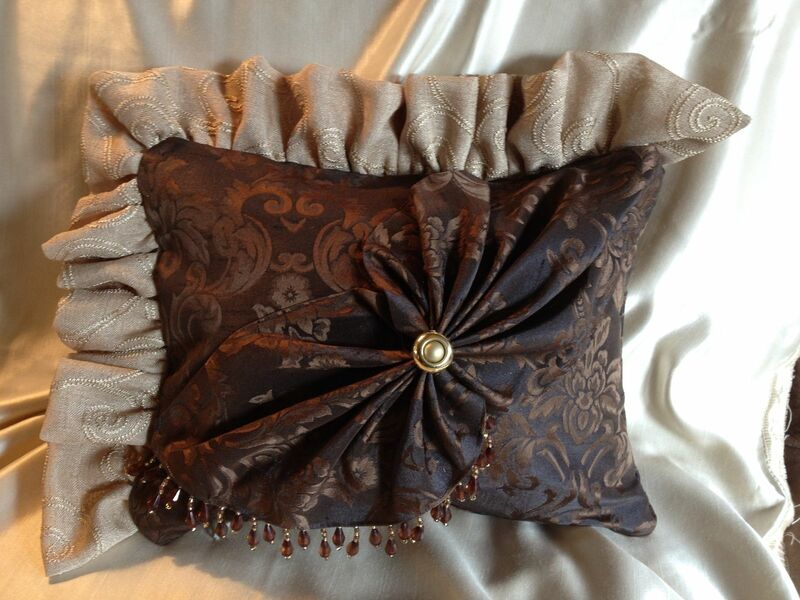 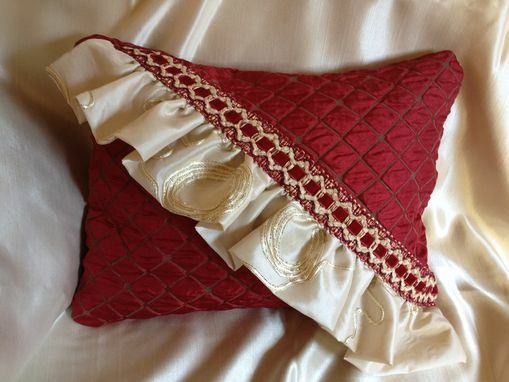 These accent throw pillows are one of a kind and hand made. 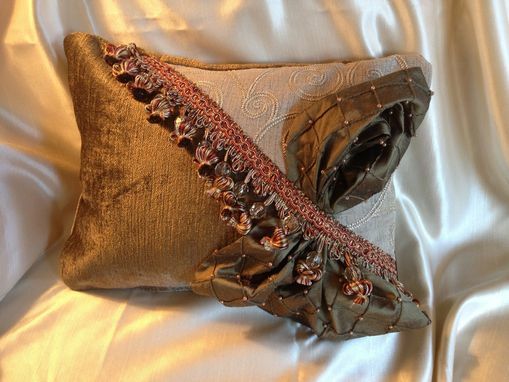 I use only high end decor fabric such as Chenille, Velvet, Jacquard and Dupioni and Raw Silks with down/poly pillow forms. They are 10X13 inches, some have approx. 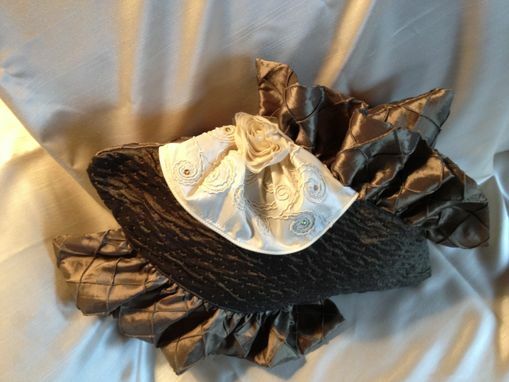 3 Inch accent ruffles with added Florettes and beaded embellishments. 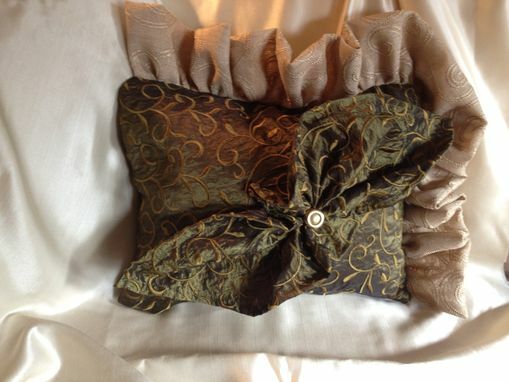 All have zipper enclosures at the bottom.